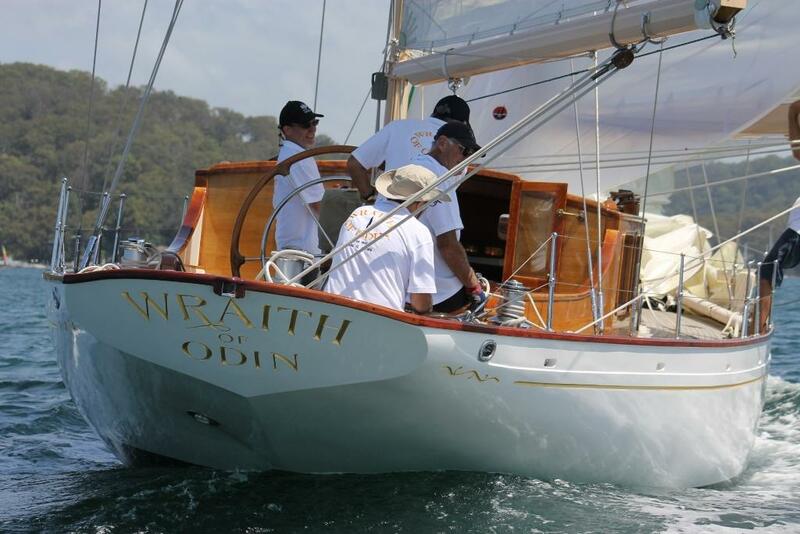 The Classic Yacht Regatta opened the public events of this year’s RMYC Pittwater Festival with races over the estuary on Saturday afternoon, March 7th. A beautiful day, still waters and good breezes and the most beautiful classes of vessels, some well over 100 years old, slipped as grand birds through the briny. 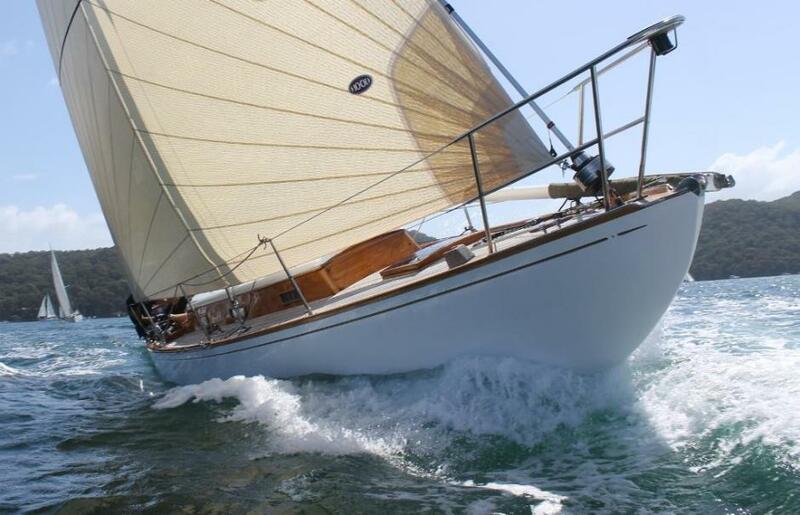 This year we have 32 entries in the Classic Yacht Regatta which is great considering the Hobart Timber Boat Festival has just concluded and many boats are still down in Hobart. The cross section of boats and history in this fleet is nothing short of extraordinary. The conditions we will have over the next two days are fantastic with a light nor’easter increasing today and a southerly coming through tomorrow, so varied conditions will mean people will see these yachts and those sailing them at their peak. Best of all is the banter that was going on last night – it’s already started between the boats; there’s wagers and beers on, kegs on, rums on, so I think everyone will have a great regatta and it’s a great way to kick off the Pittwater Festival for 2015. For people who haven’t had a chance to get here today – what will they see if they visit the RMYC Sunday? The best idea would be to come down in the morning before the boats go out. They will probably leave the docks before 12 so if people come down early for a coffee, or some breakfast then wander around, look at the boats, talk to their crews and then the boats will start racing at one o’clock tomorrow as well. Presentations will take place after four o’clock and there will be some great music to entertain people afterwards. Pittwater Online News Albums (for crews to help themselves to). Picture by A J Guesdon, 2015. Please note Issue 210 will be published Sunday 19th of April 2015 instead of April 12th, 2015. We're commencing the 5th year of Pittwater Online News by one Issue and then taking a day off. This will be the first day off in 1463 consecutive days. 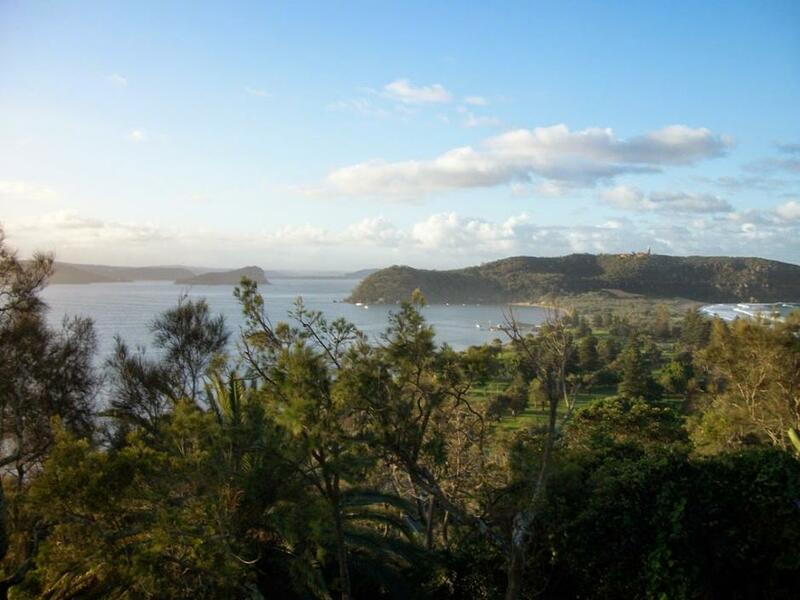 The above image was taken in Autumn from Sunrise Hill, Palm Beach for our 4th Issue - for the first month of Pittwater Online News - by AJG.